The extraordinary tale of a community who defied the gas juggernaut. We are crowdfunding now for the feature documentary that tells the story of the fastest growing social movement of our time and poses the question- what is truly valuable? 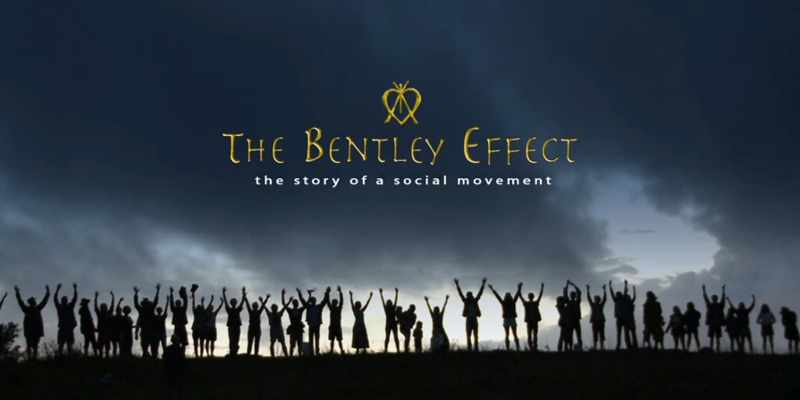 The Bentley Effect is a film that captures and celebrates the ‘Eureka Stockade’ of our time and the social movement that led to it. After drilling fifty wells virtually under the radar, in 2010 the CSG industry arrived unannounced to drill an exploratory well in a peaceful farming community in the Northern Rivers. A group of concerned neighbours investigated and alarm bells rang out across the region as the community’s immune system was triggered. A trickle of environmentalists and local farmers soon grew to a torrent of concerned citizens from all walks of life – and through this unlikely alliance, a broad based social movement was born. Following a series of increasingly dramatic blockades, the gas industry threw down the gauntlet. They announced plans to commence drilling on a farmland property in Bentley, a peaceful stretch of country, just 12 minutes drive from the city of Lismore. The community’s response has now become the stuff of legends. A cow paddock adjacent to the drill site became home to a highly organised, self-governing tent city – complete with meeting halls, kitchens, cafes, toilets, nurseries and strict codes of non-violent conduct. Labelled by the government as ‘radical extremists’, these people, however, were not your usual suspects. Here at Bentley stood an army of mainly once conservative, every-day Australians uniting with their entire community to fend off the mining threat and protect their land, air and water. The bravest locked themselves onto cement fixtures blocking the way into the site. Each morning they gathered before dawn at ‘Gate A’ to rally together, set themselves to the tasks of the day and sing the songs that would become their protest anthems. High-profile musicians gave regular pop-up concerts to the delight of the 'Protectors'. The industry and its political supporters rallied too with reports of a steadily growing police force with orders to break up the blockade. The stage was set and eventually over 850 riot police with horses were on standby in Sydney, with orders to remove the protectors. - what is truly valuable?